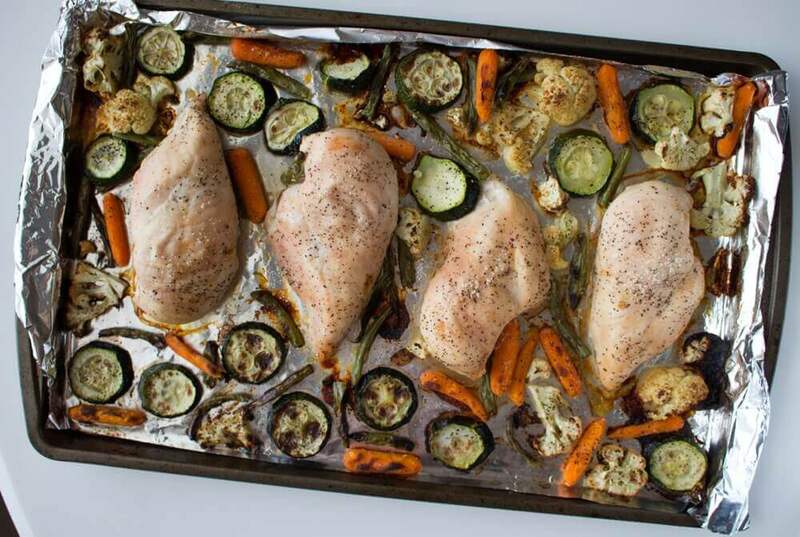 Five-Ingredient, One-Pan Roasted Chicken and Veggies is your solution when you’re in need of a simple weeknight family-friendly meal. Hi everyone! 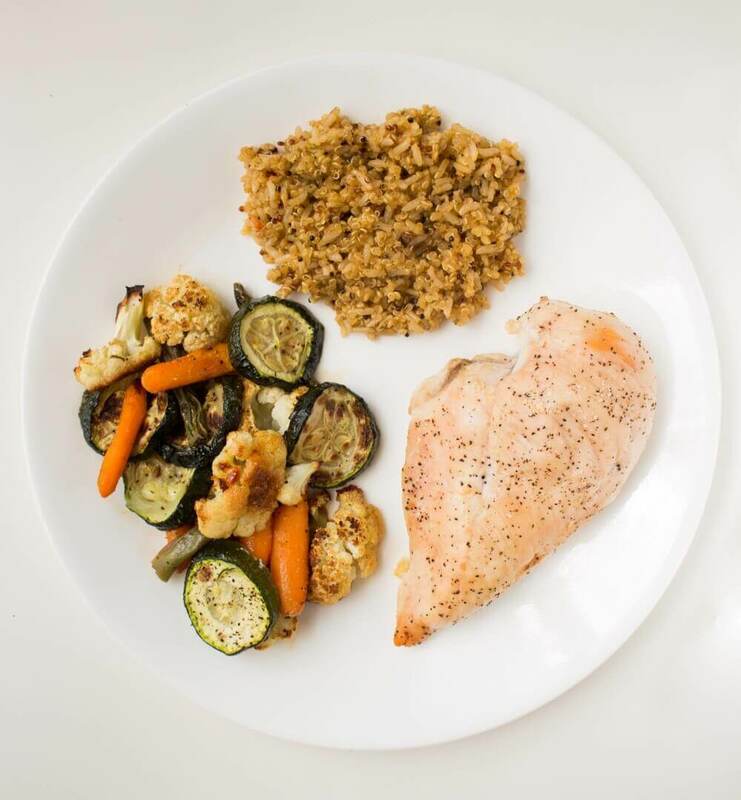 I’m so excited to share a delicious and extremely practical, doable, and delicious recipe from my amazing assistant, Clara Norfleet of food fitness & faith, share her Five-Ingredient, One-Pan Roasted Chicken and Veggies for this month’s Recipe Redux post. As much as I strive to throw together a fun dish for dinner throughout the week, my dietetic internship, blog, social media, and extra work for Holley keeps my days very full. Sometimes I feel that crafting up creative meals becomes more of a daunting task than an enjoyable hobby. Tell me I’m not the only one?! 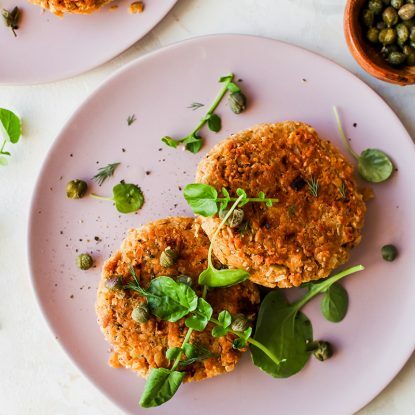 Despite this, I still want to make sure I have a healthy and delicious meal on the table, so rather than calling in for take-out or pizza I resort to simple no-brainer dishes that are a breeze to throw together and get the nod of approval from my roommates and dinner companions. One of my favorite no-brainer dishes to make when my brain is running on empty? This one-pan roasted chicken and vegetables. It has minimal hands-on time, speedy clean-up, maximum flavor, and is versatile so I can use whatever is in the fridge. Sounds great, right? The best part, though? You only need one hand to count the number of ingredients used. Now THAT’s some math I can get behind! A win all around, if you ask me! Throw all the ingredients onto a pan and into the oven, sit back and take a breather, and 30 minutes later pull out a well-balanced dinner complete dinner. Do you have any easy, no-brainer meals that you default to during crazy times? I’d love to hear! Preheat oven to 400*F and line baking sheet with aluminum foil. Place chicken breasts out on baking sheet, seasoning with desired spices. Combine all vegetables with olive oil in medium bowl, toss to coat and season with desired spices. 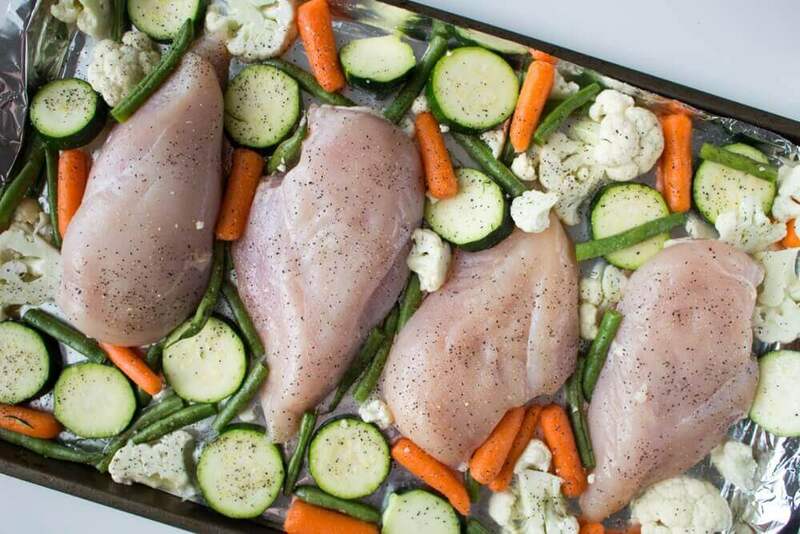 Spread vegetables out onto baking sheet with chicken, and transfer to oven. Allow to bake for 30 minutes, or until juices from chicken run clear. 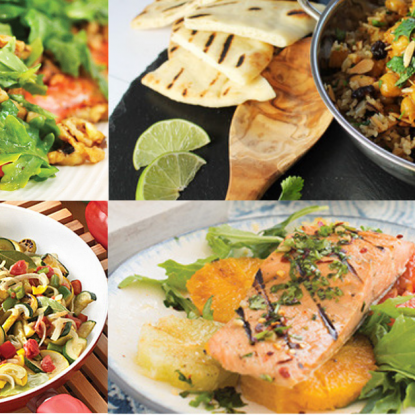 Serve as is, or alongside simple salad or side of grains. 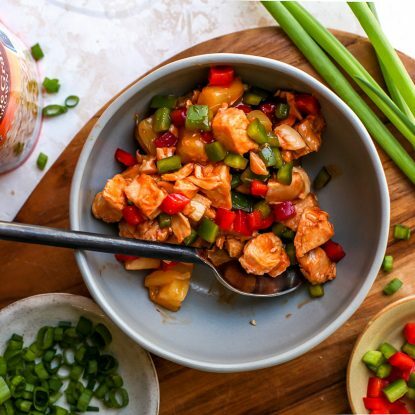 If you're in need of a simple weeknight family-friendly meal then Five-Ingredient, One-Pan, Roasted Chicken and Veggies is your solution! 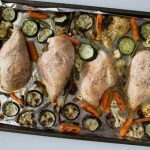 An awesome sheet pan meal! Easy clean up too! Nicley done, Clara! I’m pinning.